5th Grade Band Starts Soon! The fifth grade band will be forming before you know it! 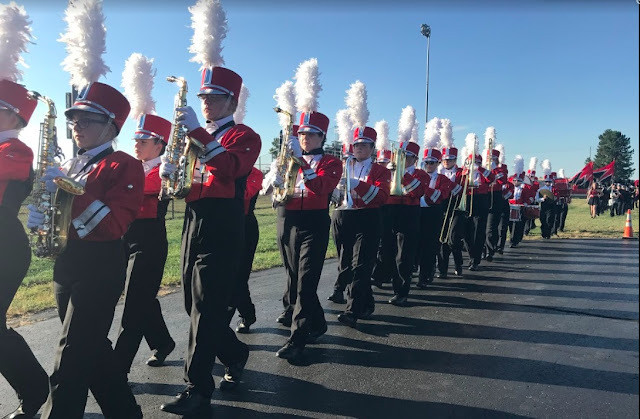 This is your child’s opportunity to participate in one of the most educational and enjoyable experiences of their young lives: playing an instrument in the band. Band gives students confidence, determination, and proof that hard work pays off. It gives young musicians the opportunity to explore the aesthetic experience of music: to play, perform, experiment, and enjoy. Studies have proven that a child who participates in three or more years of music while in school have better spatial reasoning and perform better on standardized tests, including college entrance exams. They have the chance to experience teamwork and add harmony to their lives. It teaches them to be better musicians, students, and citizens. You will receive more information on Friday, September 6, including a sheet to return to me to tell if your student is interested, and if so, what instrument they would like to play. From this year’s class, I especially need many flutes and trombones, so if your child is uncertain, please suggest one of these instruments. If you plan on obtaining your own instrument, please make certain it is of good quality and in good working order. Please keep in mind that only four percussionists are chosen from the entire fifth grade class. Good luck in your first year as parents and students in the Fairbanks band program, and I hope to see all of you students on September 6. If you want to get a head start and see the information in advance, visit this link: 5th Info Packet.